David Bradley Banks in 208 years old today, born in 1802. David is the boys' 4th great-granduncle, the 1/2 brother of Samuel Cheney Cotton, the boys 4th grandfather. Their common mother is Sally Gold. James Parkinson and Mahala Earnest's 177th anniversary is today, married in 1833, he at age 27 and she 21, in Sangamon, IL. 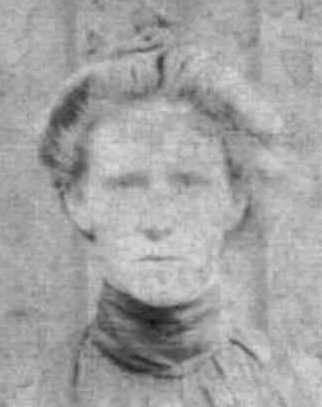 Mahala is the boys' 4th great-grandaunt, the sister of Rachel Earnest who married Resin D. Brown and are the boys' 4th great-grandparents, the parents of Charlottle Brown. Maria Theresa Gold is 224 years old today, born in 1786. Maria is the boys' 3rd cousin 7 times removed. Her father is Thomas Gold, their 2nd cousin 8 times removed whose father is Rev. 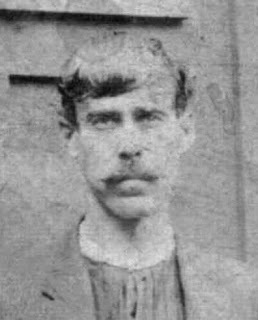 Hezekiah Gold, their 1st cousin 9 times removed while his father is their 8th great-granduncle, Hezekiah Gold, Sr. the brother of Samuel Gold, the boys' 8th great grandfather. Dolly M. Stanford is 135 years old today, born in 1875. Dolly is the boys' 2nd great-grandaunt, the sister of Margaret Jennie Stanford who married Joseph R. Wooden and are the boys' 2nd great-grandparents. Thelma Lucille Parker died 8 years ago today in 2002. Thelma is the kids' 1st cousin 4 times removed. Her mother is the kids' 3rd great-grandaunt, Lou Della McMurrey the sister of Ida Jane McMurrey, the kids' 3rd great-grandmother. Joshua Miller Wooden and Penelope Pope Yager's 166th anniversary is today, married in 1844 when they were both 22 years old in Oldham, Kentucky. William H. H. Sims died 89 years ago today in 1921 at the age of 78 in Kanawh, Fayette, West Virginia. William is Steve's 3rd great-granduncle, the oldest brother of Thomas Nuton Sims. Both were born to Dryden Sims and Rebecca Bays. William married Sabina Hester McCarty in 1861 and they begot 7 children, 2 girls and 5 boys.